It’s a big city out there, and your smile is our priority! Dr. Jamie Royal is dedicated to creating outstanding, healthy, and beautiful smiles in a warm, patient-focused environment. It is our belief that orthodontics is more than simply straightening teeth, but is about improving our patients’ confidence and lives. We want to join together with you to, working as a team, and create a brighter, healthier smile that will last a lifetime. At Royal Orthodontics, your orthodontic treatment is all about you! It is our goal to create an environment where you are given individualized attention from Dr. Royal every step of the way. She, along with the rest of our team, is truly invested in the beauty of your smile. With state-of-the-art treatment techniques, the care you receive at Royal Orthodontics is second to none. Our advanced orthodontic services go beyond traditional braces to include highly aesthetic options like HARMONY® lingual braces, Clarity™ SL, Invisalign® clear aligners, Damon® Smile, Damon® Clear™, MTM® No•Trace™ System, and AcceleDent® Aura. The moment you walk into Royal Orthodontics, you’ll notice the difference! We’ve designed our reception area to give you an experience that is comfortable and relaxing. With amenities like complimentary coffee and Wi-Fi, you’ll feel right at home! It’s time to get the smile you’ve always wanted. We are happy to offer complimentary consultations, where you will sit down one-on-one with Dr. Royal to discuss all of your treatment options. 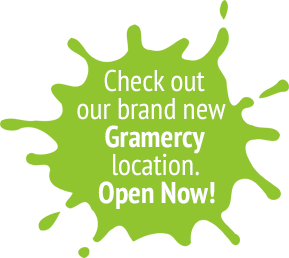 We invite you to contact our Gramercy orthodontic office today!